In a series of interesting smartphone/phablet launches, Acer has unveiled its first phablet that comes with a giant 5.7 inch screen. 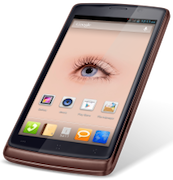 The device called Liquid S1, runs on the Android operating system and will be available in single and double SIM versions. Indian manufacturer iBall has also launched its costliest smartphone offering till date in the form of Andi 4.7G Cobalt. Here is a quick look at the specifications. This phablet has a 5.7 inch TFT capacitive touchscreen display (1280Ã—720 pixel resolution) with 258 pixels per inch density and runs on the Android 4.2 Jelly Bean operating system. It is powered by a 1.5 GHz Quad-core processor, has 1 GB of RAM and comes with 8 GB of internal storage, which can be expanded up to 32 GB with a microSD card. The device sports an 8 megapixel rear camera with LED Flash that can record full high definition videos (1080p) at 30 frames per second and a front-facing camera for video calls. The camera also comes with a 'wide front shot' feature that uses the front camera for better wide-angle photos and video conferencing. Voice shot allows hands-free photo-taking just by saying 'cheese' and smile shot detects smiling faces and automatically takes pictures. On the connectivity front, the device has Bluetooth 3.0, Wi-Fi, 3G and a microSD card slot. The device has a 2,400 mAh battery and comes with GPS (with A-GPS support). While the exact dimensions of the device are not available, it weighs 195 gm. The Acer Float user interface allows several app windows to stay open, so that users can multitask without leaving one app to work on another. AcerCloud Docs enables users to retrieve and access their documents and files wirelessly while Acer Remote Files allows them to remotely access files from their main PC. Acer Auto Profile also supports predefined network settings for frequently visited locations (office, home, etc. ), so that the next time the user visits the same spot, the Liquid S1 will automatically switch profiles. 'Voice Unlock' directly opens apps or interfaces by recording and using personal voice commands. Users can unlock the Liquid S1 to the home screen, camera, SMS or call keypad by voice. Finally, Acer data traffic manager keeps an eye on daily and monthly data usage, a handy feature for users who do not have unlimited data plans. The smartphone has been priced at $456 (Rs 25,831) but an Indian launch date/pricing and whether the dual SIM version will be available in the country have not been specified as of now. The device will mainly compete with the likes of Samsung's Galaxy Note 2 (Rs 36,645) and Galaxy Mega range of devices (Galaxy Mega 5.8 and Mega 6.3 for Rs 25,100 and Rs 31,490, respectively). As the name states, the smartphone has a 4.7 inch IPS HD capacitive touchscreen display (1280Ã—720 pixel resolution) with 312 pixels per inch density and runs on the Android 4.2 Jelly Bean OS. It is powered by a 1.2 GHz Cortex A7 Quad-core processor, has 1 GB of RAM and comes with 16 GB of internal storage, which can be expanded up to 32 GB with a microSD card. The device sports a 12 MP autofocus rear camera with dual LED Flash that can record videos and a 5 MP (which is nice) front-facing camera for video calls. On the connectivity front, the device has Bluetooth 4.0, Wi-Fi and 3G, as well as a microSD card slot. It comes with a 2,200 mAh battery and GPS (with A-GPS support). Additional features of the device include Flip To Mute where users can flip the smartphone upside down to mute an incoming calls; Shake to Answer: Calls can be answered by shaking the device; Direct Call, which enables users to call a contact they are viewing or messaging by lifting the phone to the ear and a Power Saving Mode, among others. While the smartphone has decent specs and may not be over-priced at Rs 19,995 (the company is even claiming it is the best smartphone under Rs 20,000), we still wonder whether a user will be willing to shell out that much for an iBall device. Especially when they can get their hands on a Samsung Galaxy Grand Duos for even less (Rs 19,500).